How Do Slot Machines Pay Out Taxable Jackpots? Introduction to How Do Slot Machines Pay Out Taxable Jackpots? One of the most popular slot machine questions on Google searches is: How do slot machines pay out taxable jackpots? I’ve assumed this question is about the mechanics of the payout process. A different upcoming post deals with explaining when slot machines pay out. Slot machines are special-purpose computers, like a lot of equipment found in our lives. Specifically, common tools are televisions, electronic watches, gas station pumps, cash registers, bank ATMs, automobiles, baby monitors, and the list goes on and on. Each of these devices has one or more computer microprocessors, visual display and/or audio speaker, and some may also have a way to accept and/or dispense money either physically or virtually online. Beyond controlling the multiple interfaces to and from the player, the computer within a slot machine also manages the odds of a player winning. At its core, this calculation is provided by a pseudo-random number generator (PRNG). This PRNG is an element of the computer programming algorithm used by slot machines. PRNGs (or more commonly RNGs) determine the outcome of a player’s bet based on the pre-determined odds of winning as set by the casino operator within the limited options provided by the slot machine manufacturer. As previously mentioned elsewhere, this PRNG is actually used twice: Once to determine if a jackpot is won, then again to determine how much was won. A non-taxable jackpot (How Do Slot Machines Pay Out Taxable Jackpots). Once a player selects a specific slot machine, that machine operates to accept or reject the inserted cash, ticket voucher, and/or reward card. Next, it accepts the player’s selection for denomination amount and amount of credits to be bet, although it will simply reject one or both settings if insufficient funds are available to make such a bet. When the bet is placed, the machine immediately selects the latest random number generated by its RNG to determine the outcome of the bet and well as updating the players club card with the points earned for placing the bet. At the end of this process, the machine turns the reels to show the outcome of the bet. See below for this player-machine sequence of events. The player may choose to insert a player card at any time before or during play, then later remove it before leaving the machine. 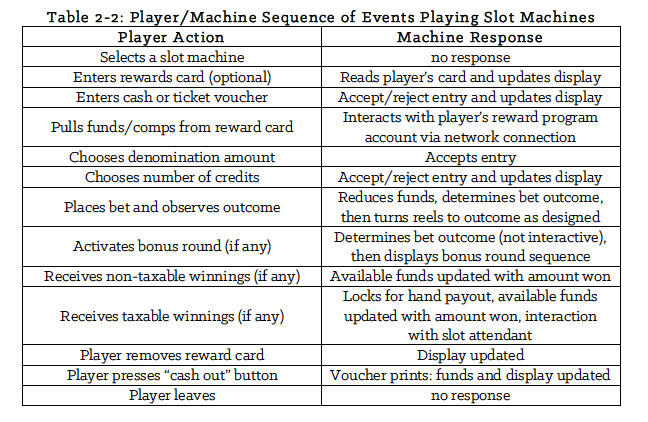 Player/Machine Sequence of Events when Playing Slot Machines (How Do Slot Machines Pay Out Taxable Jackpots). Between determining the outcome of the bet and turning the reels, the machine executes programming code that turns the reels. The reels turn in a way the machine’s game designers consider most entertaining to the player – such as stopping on reel symbols for non-wins which are next to the symbols for sizable jackpots. As mentioned, the bet’s outcome is determined when the bet is placed, not when the reels stop moving, despite the entertainment value derived by the player when observing the “action” of the slot machine. In the event of a win, the machine executes further programming to activate sequences of lights and sounds while updating the information display for the player, which is referred to as a roll-up. Another non-taxable jackpot (How Do Slot Machines Pay Out Taxable Jackpots). If a jackpot less than the taxable limit is won, slot players can simply proceed with continuing to play or cash out from that slot machine. The current taxable jackpot limit is $1,200 in the United States. Meaning, if you have a win of $1,200.00 or more at a slot machine, there is an immediate tax bill resulting in an IRS Form W-2G. If you have a win of $1,199.99 or less, there is no immediate tax bill. Jackpots that require immediate payment of taxes results in the slot machine locking up. Many, many slot players have been surprised by their slot machine locking up when a taxable jackpot is won. It can only be unlocked by a casino employee, a slot attendant. unlocks the machine to allow the player to continue. If the attendant is not carrying sufficient cash with them, or if the player wishes to have a cashier’s check instead of a cash payout, the slot attendant leaves the player with a receipt and returns a short while later with the check or cash. 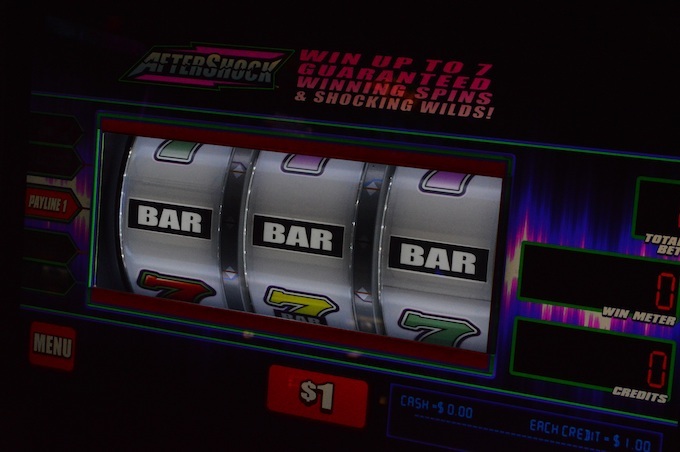 If the attendant leaves, they typically unlock the slot machine beforehand to allow the player to continue betting while waiting for the slot attendant to return. 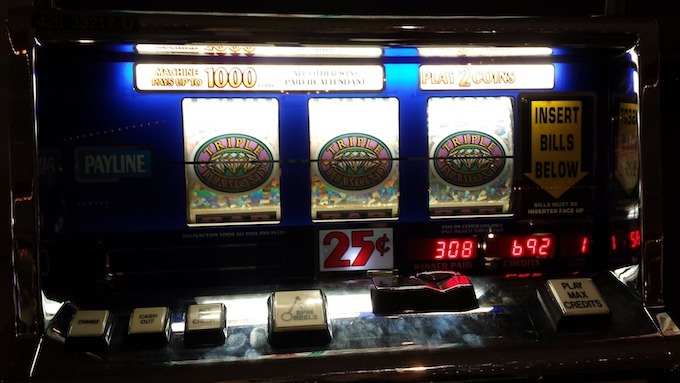 Jackpots are a good thing (How Do Slot Machines Pay Out Taxable Jackpots)! Summary of How Do Slot Machines Pay Out Taxable Jackpots? The most important thing to remember about winning a jackpot is to make sure you’ve brought your government-issued I.D. If you don’t have it, then you cannot receive a taxable jackpot. And, no, your friend sitting next to you cannot claim the jackpot for you – the eye in the sky knows it’s your winnings and not someone else. The second thing to be aware of is what is or is not a taxable jackpot, a single win of $1,200 or greater. Many people have never won a taxable jackpot, so it can be difficult to get good information on this unless you’ve done it more than a few times. But, I have. If the machine locks up, it’s either had an error (paper out or some other type of internal fault) or you’ve won a taxable jackpot. Either way, a slot attendant will show up shortly to help. For goodness sake, don’t walk away until you know which! As a final note, as of this writing, a decade ago casinos moved away from using coins. Nowadays. they use cash, checks, and vouchers redeemable at cash machines and cages. Previous: Why Do Slot Machines Use Fruit Reel Symbols? – Why do slot machines use fruit reel symbols? Early 1900s slot machine reels included cherry, melon, orange, apple, and bar symbols with non-cash payouts of fruit-flavored gum, allowing machine owners to avoid prosecution under anti-gambling laws by presenting them as authentic vending machines beginning around 1907. Next: Who Builds Slot Machines Throughout the World? – Slot machine manufacturing is principally supported in North America by Scientific Games Corp. and International Game Technology PLC, global leaders in the gaming industry engaging in mergers and acquisitions as who builds slot machines is trending towards consolidation amongst gaming equipment and technology companies.